A New Version of GAIA GPS has been released! 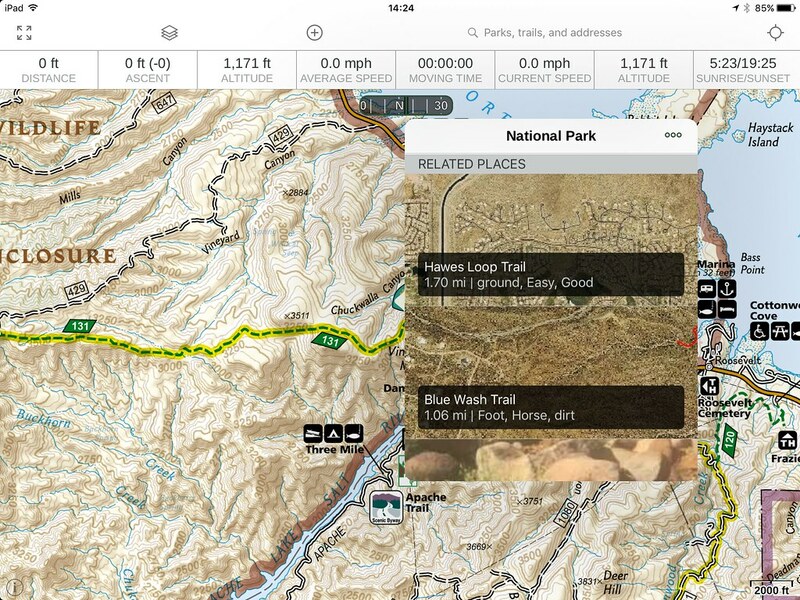 A completely new version of Gaia GPS written from the ground up has been released for iOS. 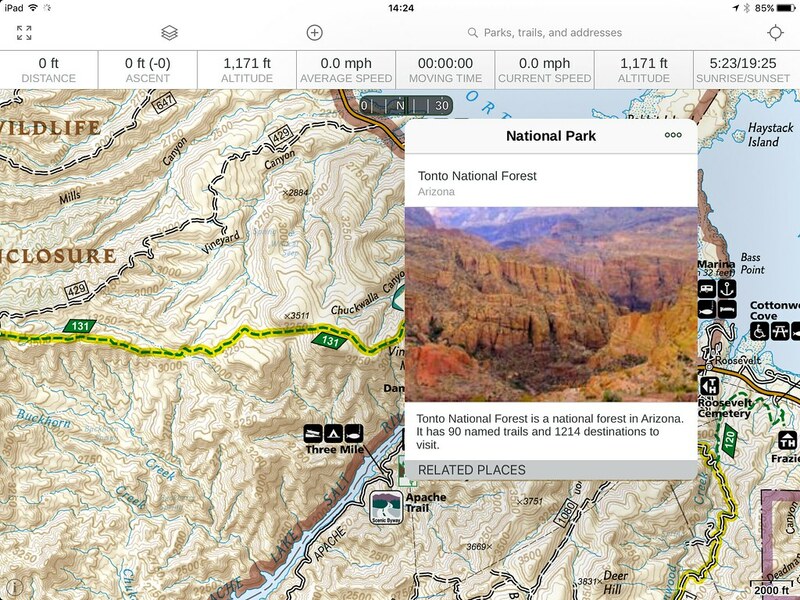 Additional map layers have been added for all pro users including the cloud site and Android. The biggest addition is the National Geographic map layers. We will be rolling out more articles on the new version once we have had a chance to use it more. We were on the alpha/beta test team but now with the public release we can now share more information. 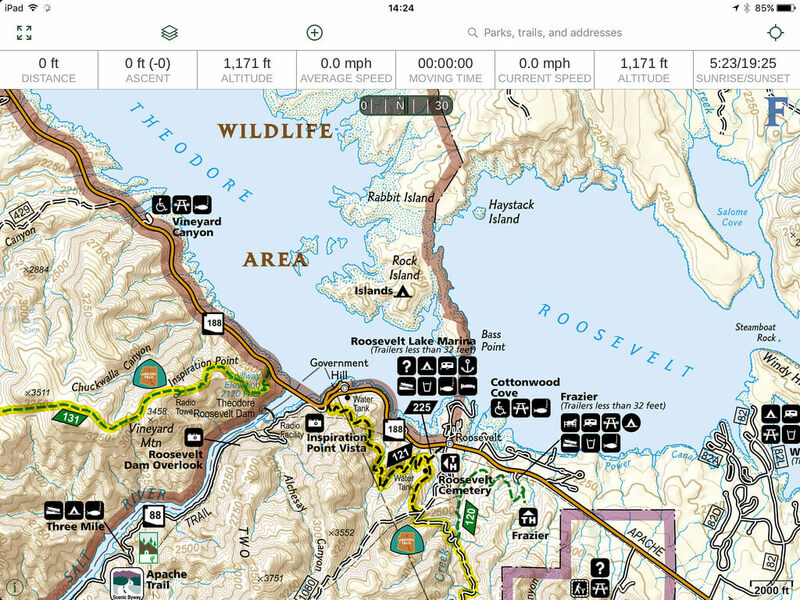 This new layer is our 2nd favorite to the USFS 2016 and classic map layers. Lots of great information for overlanders can be found on these maps. POI data has changed and I believe will evolve over time. This is one area which we need to test and explore more. Special offers for 4XOA readers. You can receive 3 month Premium membership by clicking the link below. Tonto National Forest POI pop-up window.